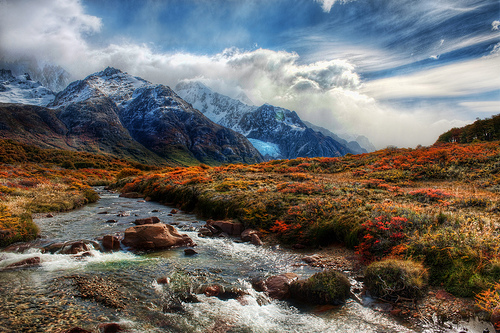 Did you know that landscapes are the second most popular photography subject after portrait photos? 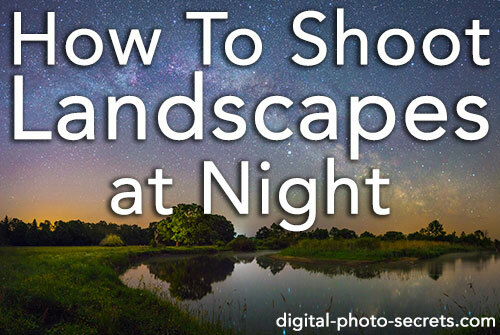 It's no wonder that I get a lot of requests for tips on landscape photography. 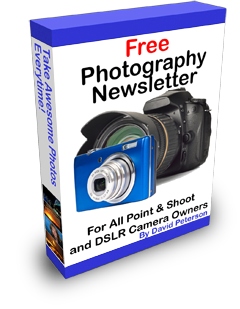 So I was excited when I heard that the amazing people at Digital Photography School had released a new ebook concentrating on just this topic - landscape photography. Living Landscapes is an incredible read! And for only US$29.99, it’s also a steal. 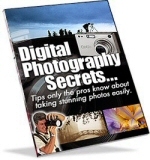 If you're a long-time reader, you'll know that I don’t often review books on my Digital Photo Secrets site because, honestly, most of the ebooks on the Internet are awful. However, I was pleasantly surprised when I purchased this ebook. 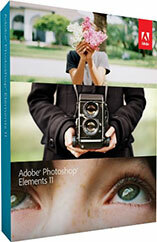 It's stuffed full of seriously good techniques to help you take stunning landscapes. It’s a must-read for anyone who wants to take landscapes that are not only beautiful, but engaging. Photos that really connect with your viewer. What I loved most about this ebook is the exceptional example images given throughout. 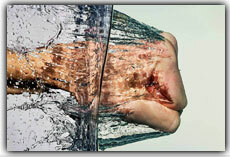 Almost every page of this 132 page ebook has stunning example images. They have already given me so many ideas for creating my own landscape photographs, I can't wait to get out and about tomorrow morning and start! The page above is a classic example. 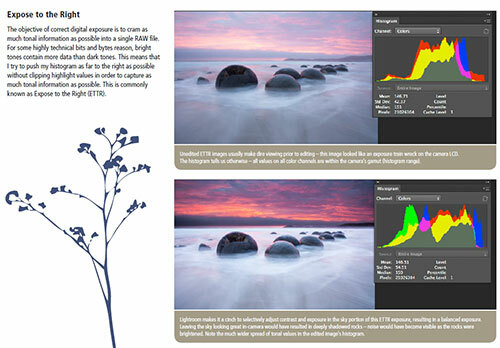 This is from a section about getting the correct exposure and shows the effect of different exposures on a photo (and the histogram). Living Landscapes shows you how to overcome the unique challenges that landscape photography can present including a straight forward explanation of the gear you need (it surprised me that you don't need a lot of gear to take fabulous shots). It shows techniques for creating dynamic landscapes - those with that 'x-factor' that causes an image to leap from the screen. And there are hints for each of the most common subjects of landscapes: mountains, water, bush and forest, black and white and panoramas. 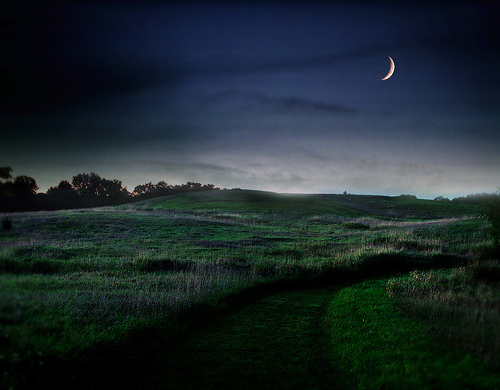 And, my favorite - included are six case studies of some amazing landscape images. 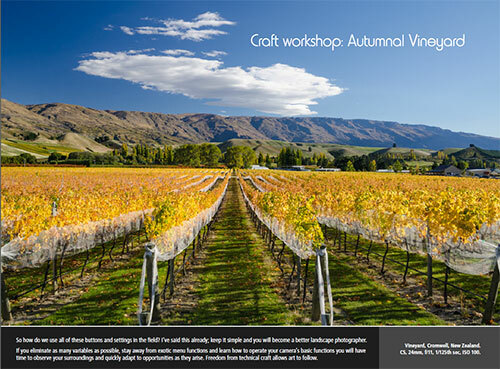 And the workshop/tutorials include question and answer sections, so you'll understand the thought process the photographers took when taking the photograph. (Useful answers to questions like 'what am I shooting this for? 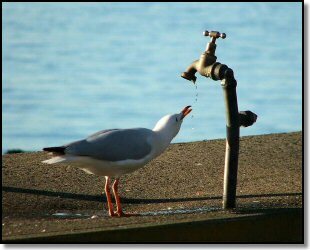 ', 'where should I focus' and 'which ISO?') So you'll see exactly how the shots (like the one below) were taken. Do you know the best way to find a perfect landscape? It's this: find a great subject; wait for the right light; then find a great composition. I don't mind admitting it - the one paragraph in the ebook that explains this showed me why my landscapes were never as good as I wanted them to be. I realized I have been out looking for a great composition, and not first finding a great subject. That's what has me excited to get out and about with my new-found knowledge. Finally, there's a large section on post-processing techniques tailored specifically for landscapes. The content in the ebook never gets too technical (or over simplified) so you'll get a solid understanding of every technique. I highly recommend this ebook. I know it will improve your landscapes almost immediately. Are you new to photography? The book never gets over-technical, so you'll be able to follow along every step of the way. And it has a big section on the basics so you won't feel out of your depth. Are you frustrated with your landscape shots? This ebook will tell you where you're going wrong, and how to fix it. 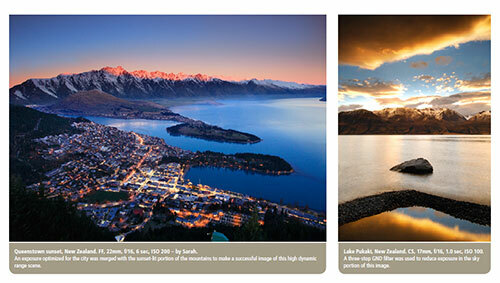 It teaches you what to look for in a perfect landscape, so more of your own images will have that 'wow' factor. If you’ve learned a lot from my own photographic tips, then you’ll absolutely benefit from the techniques in Living Landscapes. If you’re looking to take brilliant landscapes, check it out. P.S. The ebook is a digital download, so you can start reading straight away (or take it on your tablet for your next landscape shoot).